PT Pos Logistik Indonesia - POSLOG or referred to as "POS Logistics" is a rapid growing company in Indonesia, based in Jakarta and running business in the field of logistic and supply chain. Its business inclde transportation and warehousing services, delivery of cargo, and the regulated agent or dealer inspection. PT Pos Logistik Indonesia is a directly-owned subsidiary company of PT Pos Indonesia (Persero), the national postal company of Indonesia. POS Logistics was first established in 2004 and commenced operations as a business project of PT Pos Indonesia (Persero). Later in 2007, the business project has developed into strategic business unit (SBU) of PT Pos Indonesia (Persero). PT Pos Logistik Indonesia officially established as a separate legal entity in 2013. 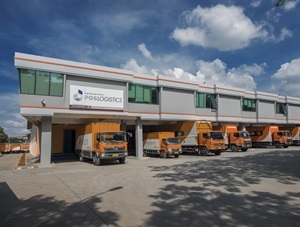 POS Logistics offer services through 14 office networks and 37 warehouse spread across Indonesia. In term of financial performance, POS Logistics registered total revenue of Rp 354.81 billion in 2016 or down 19% from Rp 438.07 billion in 2015. POS Logistics reported total loss of Rp 59.52 billion in 2016 as compared with booked profit of Rp 2.68 billion in the previous year. As of the end of December 2016, the Company’s total assets amounted to Rp 238.13 billion. This number is decreased from Rp 239.12 billion in 2015, according to PT Pos Indonesia (Persero) Annual Report 2016 as cited by JobsCDC.com. JobsCDC.com now available on android device. Download now on Google Play here. Please be aware of recruitment fraud. The entire stage of this selection process is free of charge. 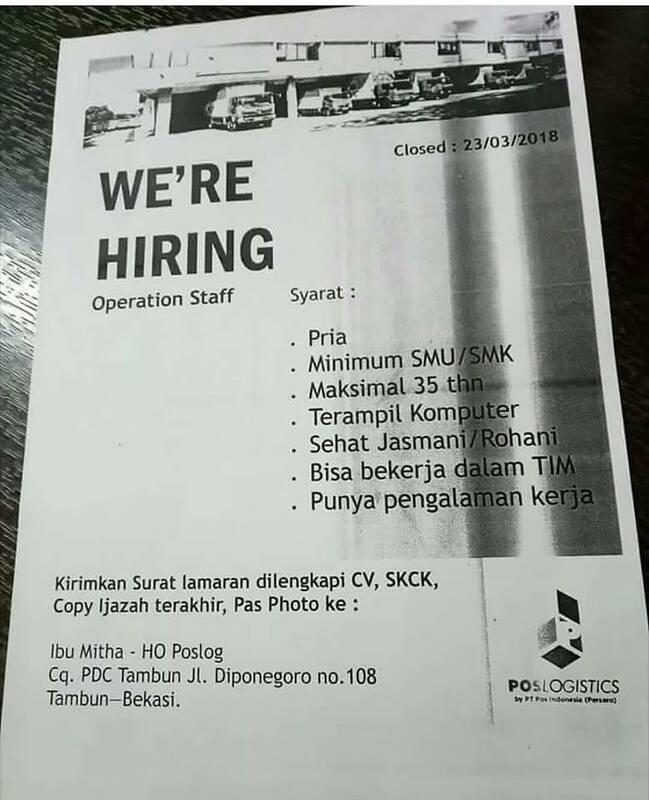 PT Pos Logistik Indonesia - Operation Staff POS Indonesia Group March 2018 will never ask for fees or upfront payments for any purposes during the recruitment process such as transportation and accommodation.